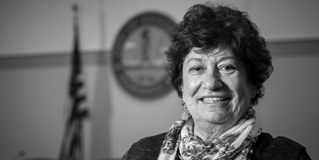 A long time Bridgeton resident with a wealth of local government experience, Rosemary DeQuinzio took her seat on Bridgeton City Council in November of 2017 in place of former member William Spence, who desired a return to his roots in the Atlantic City area. Councilwoman DeQuinzio brings a diverse background to her service on City Council including administering New Jersey's Neighborhood Preservation (NPP) Program at the local level, grant writing, and coordinating various Community Development Block Grant programs for low-moderate income residents. In addition to her work through these neighborhood-based programs, Councilwoman DeQuinzio served as a Zoning Manager in Ocean City NJ, which touched on a number of areas including real estate, leasing, purchasing, and property sales in the context of compliance with zoning regulations. Combined with her service on Bridgeton's Historic District Commission since 2013 and her past work in Ocean City on preservation-related issues, Councilwoman DeQuinzio looks forward to working with Mayor Kelly and her Council colleagues to address quality of life issues in neighborhoods city-wide on behalf of residents. Ms. DeQuinzio is a member of the American Economic Development Council, National Association of Realtors, Hispanic Leadership Association of New Jersey, National Main Street Program, as well as the National Historic Trust.